Navigating the world of SAT prep and college applications can be scary and stressful, but here's a guide to help you along the way. 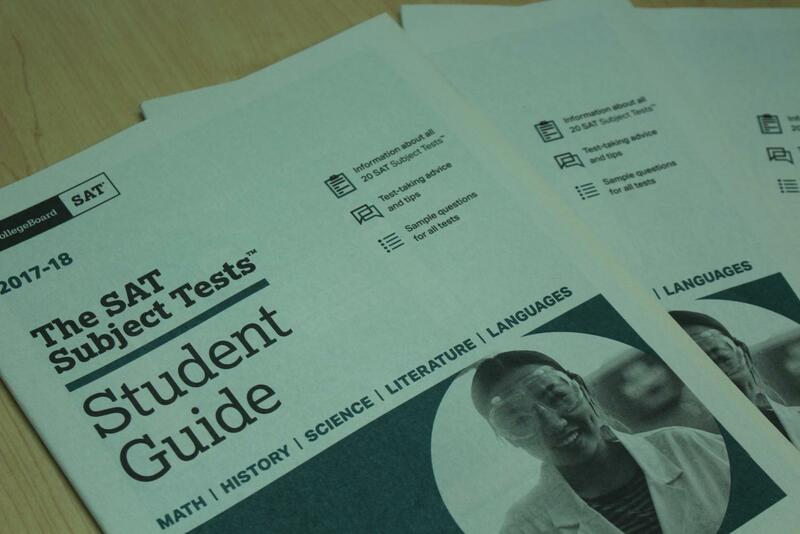 SAT study booklets are a great way to get yourself prepared for your test. It is also recommended that you take the PSAT if possible to further your knowledge of the test format. These resources along with others can be found in the SCHS counselling office. Navigating the world of SAT prep and college applications can be scary and stressful, but here’s a guide to help you along the way. 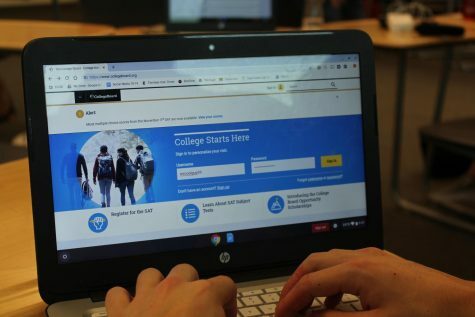 College Board is going to be the most important website you’ll use throughout this process. This is for signing up for the SAT, receiving your scores, college search and much more. The first step in this process is to make a college board account and decide what test date is right for you. The next step in starting your path is understanding the format of the test (see college board “inside the test”). The SAT covers content you’ve learned in high school, and what you will need to be successful in college. It focuses on your educational skills and ability to problem solve rather than just memorizing content. Leveraging the resources on the college board website will give you a strategic advantage as you prepare for the exam. The College Board doesn’t offer much prep through their website. This being said, this site will hold all your information and will also come into play when applying to college. The test is broken up into roughly 4 sections: reading, writing and language, math (calculator and no calculator) and the essay. I say roughly because the essay isn’t required but it is recommended for most colleges. The reading section will give you a passage and detailed questions about the reading. These passages will not require any prior knowledge on the subject and can be combined with other passages in the test booklet, often including graphs or charts (requiring no math). It is about reading comprehension and synthesizing information. The Writing and Language portion of the test will ask you to read through a passage and look for mistakes in grammar, word choice, punctuation, etc. and ask you to replace or fix them. To prepare for this section, I recommend proofreading practice articles and marking the text. The College Board website has free sample questions for this and all the other sections which is a great resource for you. Kahn Academy is another great resource for preparing for this test. They are partnered with the College Board to create a prep program for students. Khan Academy is an additional excellent and free resource to help you prepare for the SAT. 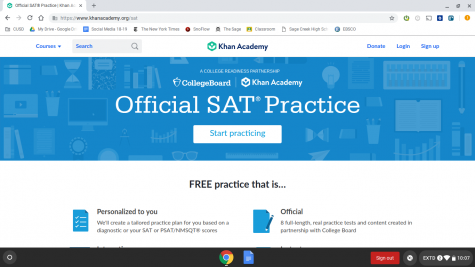 You can link your college board account to your Khan Academy account, it applies what you got wrong into what you need to work on directly from your PSAT or past SAT attempts. You can sign up for what study plan works for you, personally, I suggest doing a little every day so that you build skills and have time to cover all the content. The next resource is a little bit more pricey but if you think you need more accountability this is a great program, Ace Tutorings comprehensive 45 hour SAT/ACT preparatory program. This program includes 30 hours of individual tutoring, usually in groups of 2-3 students, and customized sessions based on what you specifically need to work on. I have attended ACE tutoring for finals prep and tutoring for online classes, and I can say I walk out fully understanding what we just worked on. The tutors are resourceful and easy to talk to, making it a very comfortable environment to work in. For those who need additional support, want to be able to ask live questions and want to be guided through the process, this is a great option. 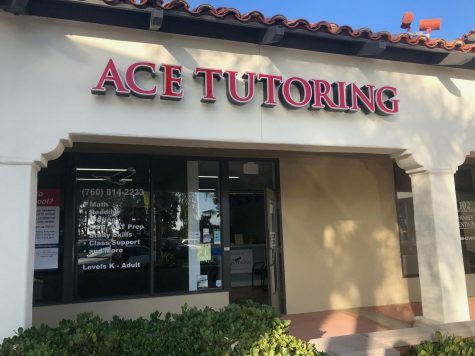 Pictured is ACE tutoring off Avenida Encinas. During certain times of the year, they hold free SAT and ACT tutoring sessions. The SAT is an important part of your pathway to college, using these tips can help you get to where you want to be. Some extra tips would be to set goals for yourself so it doesn’t seem so overwhelming, pace yourself (don’t overwork yourself but do a little every day) and create a schedule so you are constantly becoming more comfortable with the content of the test. Most importantly, don’t stress because you can retake the test you are happy with your score because of that I suggest taking the test as early as possible so you have time to retake it. It is important to keep perspective during this time of preparing for the SAT and for college. Remember that the pathway is not the same for everyone and knowing what is best for you will be the key to personal success.